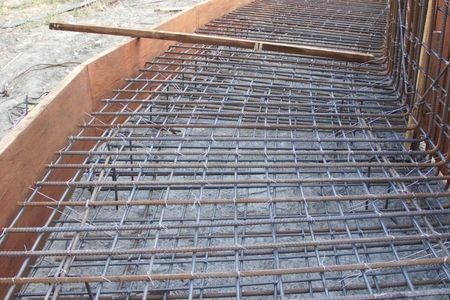 To act as the reinforcement to the concrete facing and further form the connection to the ACEGrid®. 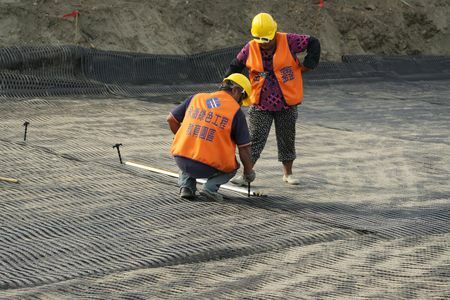 To hold soil together and prevent soil loss from runoff; also to provide a base for vegetation. To decrease the possibility of lateral deformation and provide a lasting protection to the reinforced structure. To reinforce and stablize the structure with the designed strength. 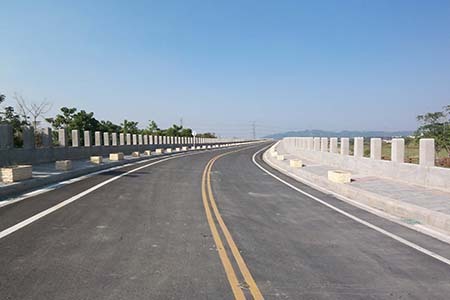 The cast-in-place concrete facing is connected with the wrap-around reinforced structure behind by steel bars; the overall structure hence possesses advantages of both rigid and flexible structures. 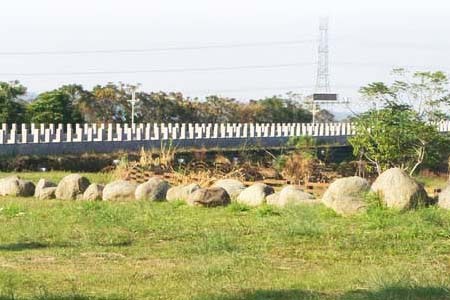 High safety demanded retaining structure (e.g., embankment for high speed railway). 1. Stable structure with less concrete. 2. Good resistance to lateral deformation and erosion. 3. 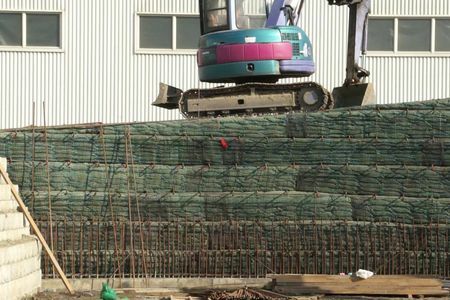 The combination of traditional and wrap-around reinforced method is able to achieve the same safety requirement with less budget. 4. 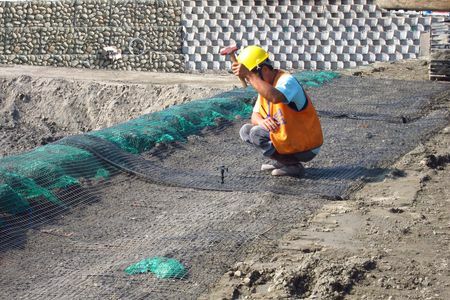 Making use of in-situ soil to reduce both construction cost and environmental impact. 5. Vertical wall design occupies less land space. 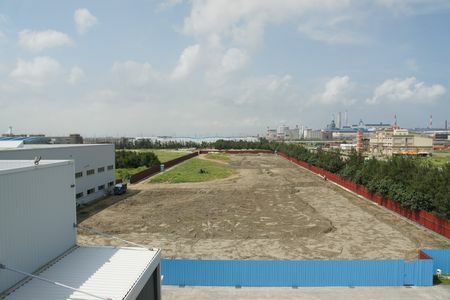 Clean the ground surface of the site, and excavate in accordance with the levelling layout. Then compact the ground to the required compactness. 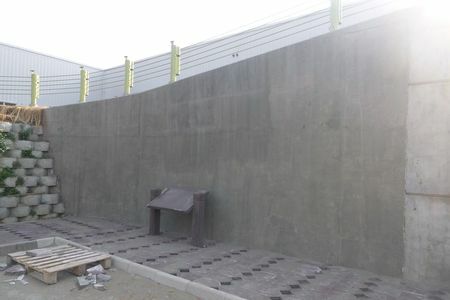 Set up formwork and cast the RC foundation specified on the design drawing. Cut ACEGrid® to the size specified on the design drawing (including at least 2 meters in length for wrap-around purpose). ACEGrid® should be laid flat without any corrugation. Anchorage should be done with the anchorage interval specified on the design drawing. Fill soil bag and cross stack on the facing side to the designed height mentioned in the design drawing. Backfill soil at the back of the sand bag facing; the thickness of every layer should be between 15 cm to 30 cm. Then, perform compaction from the facing inward to the backfill area to meet the required compactness specified on the design drawing. 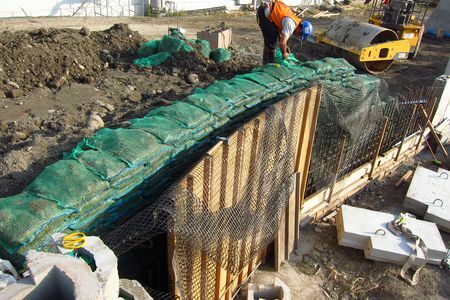 Wrap the sand bag around with the reserved length of ACEGrid®; make sure it is free of corrugation. Anchorage should be done with the anchorage interval specified on the design drawing. Use excavator grab to compact and shape the slope to the requirement specified on the design drawing. 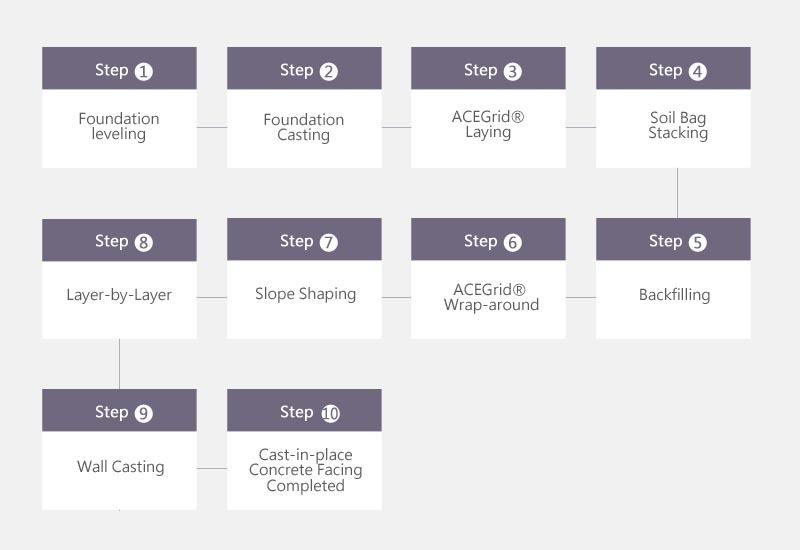 Repeat step 3 to 7 to achieve the required height specified in the design drawing. 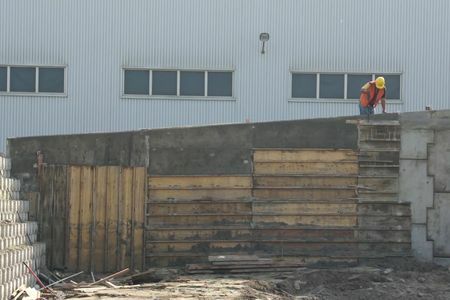 Set up formwork and cast the RC wall specified on the design drawing. Due to the traffic jam, the government decided to widening Route 46. 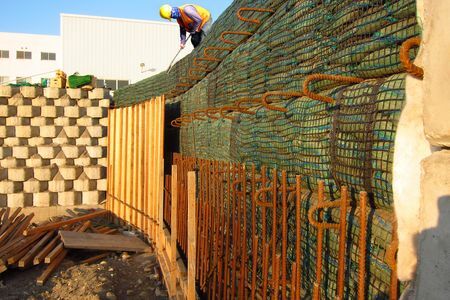 In order to reduce both the construction cost and environmental impact, the combination of traditional and wrap-around reinforced method was chosen. ACEGrid® was used to reinforce and stabilize the structure. Soil bags filled with in situ soil were used to reduce the use of concrete. Finally, the cast-in-place concrete facing was built connected to wrap-around reinforced structure. 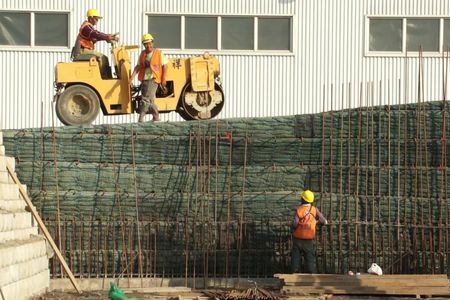 The overall structure hence possesses advantages of both rigid and flexible structures; it would have good resistance to fire, lateral deformation and erosion. Traffic jam now rarely happens in Route 46.